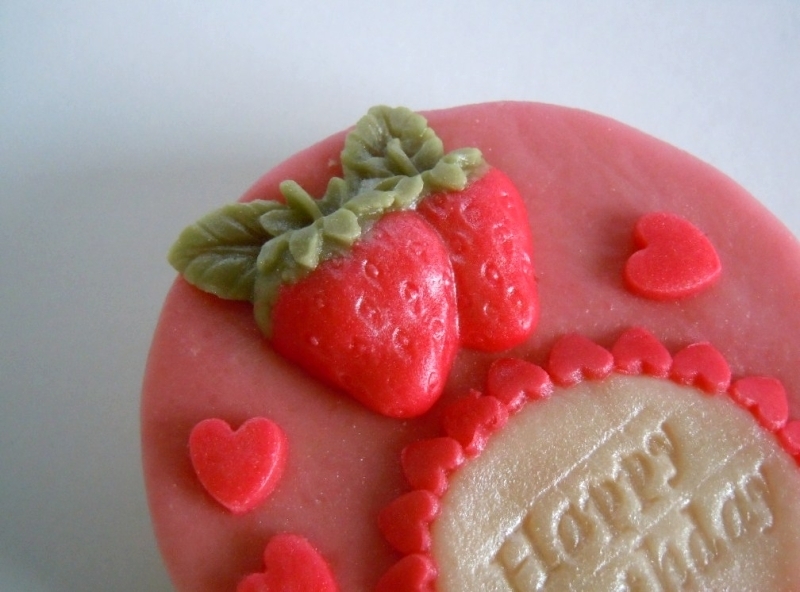 A 100% marzipan Mini Cake made to look like the real thing with layers of "sponge, jam and cream" topped with a luscious marzipan strawberry and a "Happy Birthday" greeting, or add your own message for an extra special gift. 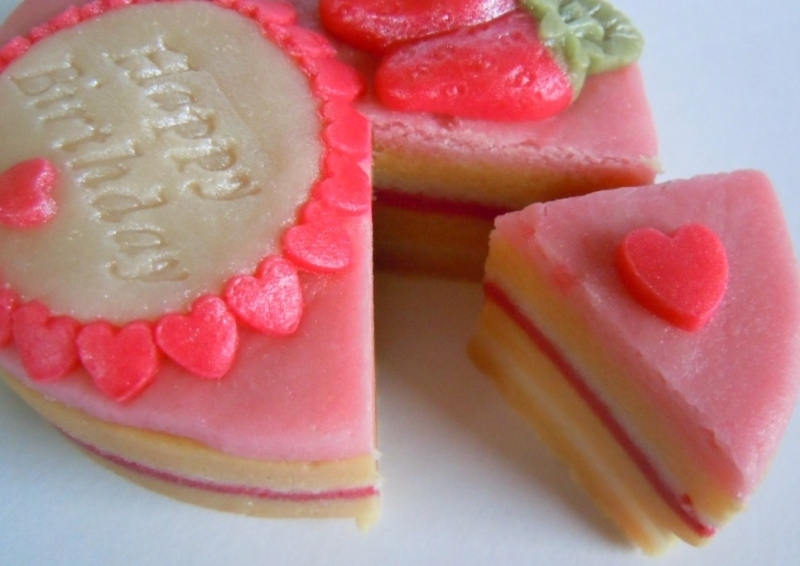 Available in plain almond or strawberry flavour marzipan. Approximately 7.5 cm in diameter and presented in a white box.